There are five UNESCO World Heritage Sites in Thailand. Three of these sites are cultural and the remaining two are natural. This archaeological site is part of the Nong Han District in Udon Thani Province of Thailand. It was initially discovered in 1966 and quickly gained the attention of the public due to its red painted pottery. Since then, more remains of pottery had been unearthed in this village that provides important insight into the history of the land. This led an anthropologist from Harvard College to conduct studies and interviews in the village. He was able to come across exposed tops of pottery jars under one of the trees in the village, which exhibit rudimentary pottery techniques and ornate details. This is the first of two natural sites listed under the UNESCO World Heritage Sites in Thailand. This forest complex measures up to 230 kilometers in land area that consists of the Ta Phraya National Park along the Cambodian border and the Khao Yai National Park. There are over 800 fauna species, 392 bird species and 200 reptile species in the area. Hence, it is considered internationally important in protecting endangered and threatened species. The tropical forest ecosystem within the forest complex is also considered important, especially for the survival of these endangered animal species. 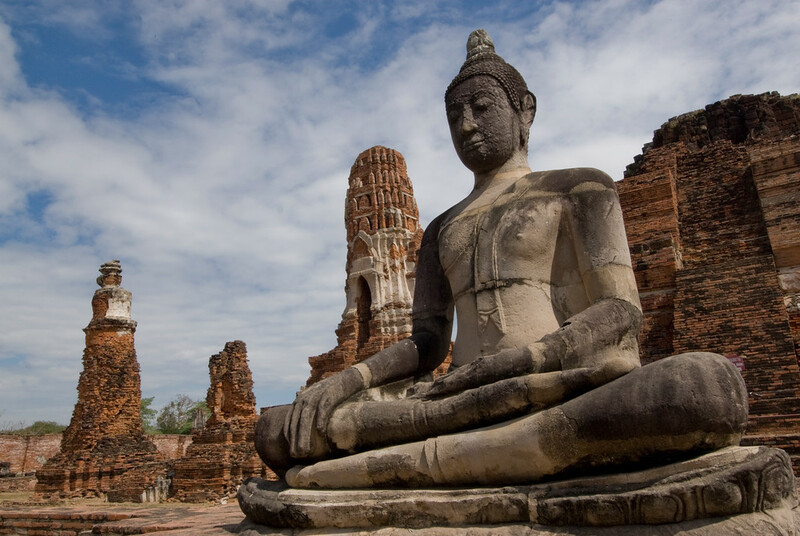 This historical park covers the ancient city of Ayutthaya and whatever ruins is left of it. The ancient city of Ayutthaya was founded in the 14th century but went under the rule of the Burmese in 1569. Many of the artistic and valuable objects were lost during this time. In 1969, work on renovating and preserving the ruins of the ancient city continued. Eventually, it was declared a national park in 1976 and was declared one of the UNESCO World Heritage Sites in Thailand in 1991. This is another historic and ancient town listed under the UNESCO World Heritage Sites in Thailand. 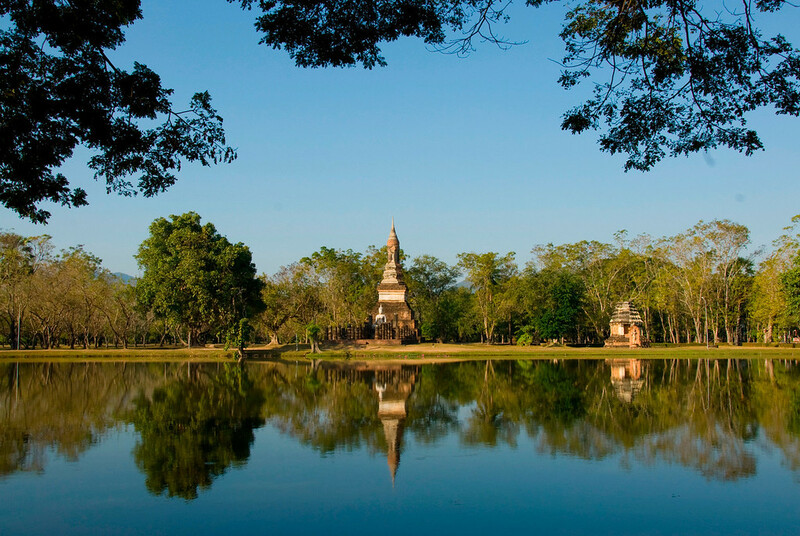 This is an expansive site that consists of three historical parks: Sukhothai Historical Park, Si Satchanalai Historical Park, and Kamphaeng Phet Historical Park. These parks had managed to showcase the remains of three ancient cities in Thailand that were flourishing during the 13th and 14th centuries CE. The Sukhothai Kingdom, in particular, is the first kingdom to be established in Thailand. This is the second site under the Natural category of UNESCO World Heritage Sites in Thailand. 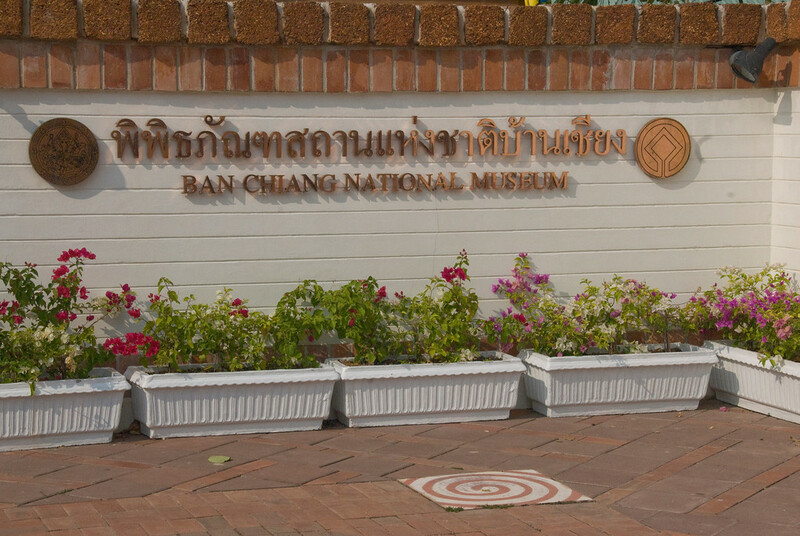 However, it is also the first site to be recognized by UNESCO in Thailand. This wildlife sanctuary is located close to the Myanmar border and covers over 600,000 hectares of land area. The sanctuary serves as a natural habitat for a wide range of animal species including large mammals and birds and land vertebrates.